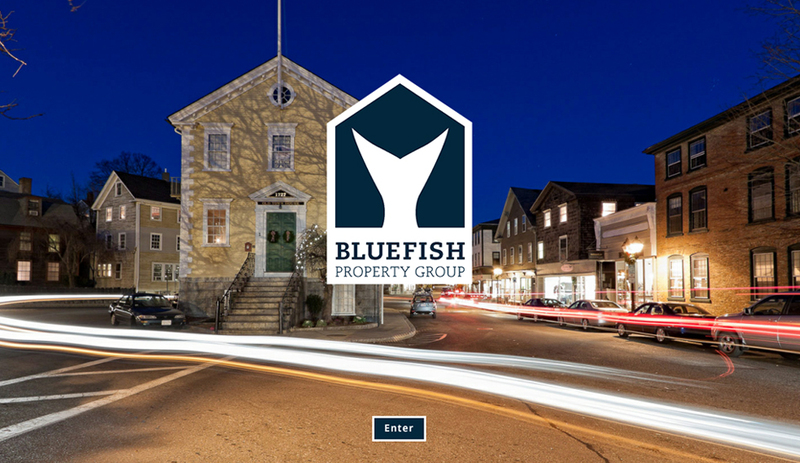 Bluefish Property Group came to me looking for a WordPress re-design that would be image-driven. The properties they manage on the North Shore are all scenic locations and are worthy of getting attention. In the redesign we used photography of local landscapes to serve as backdrops to keep the scenic feeling alive throughout the site. 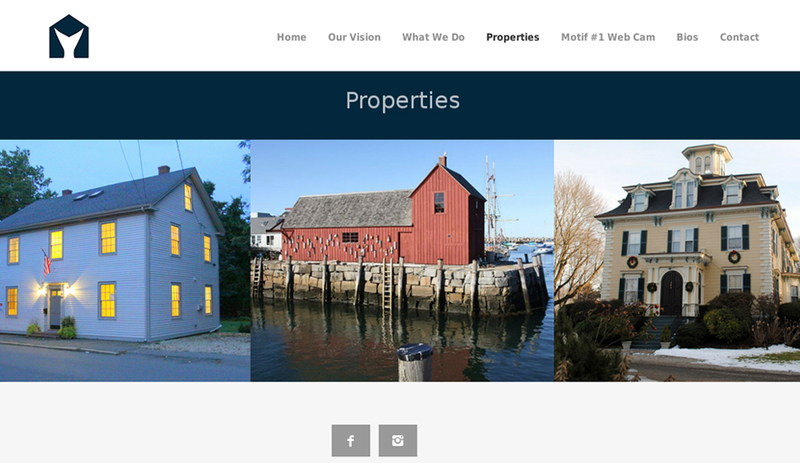 The new site is responsive to device sizes and all image galleries of their properties also display well on small screens. 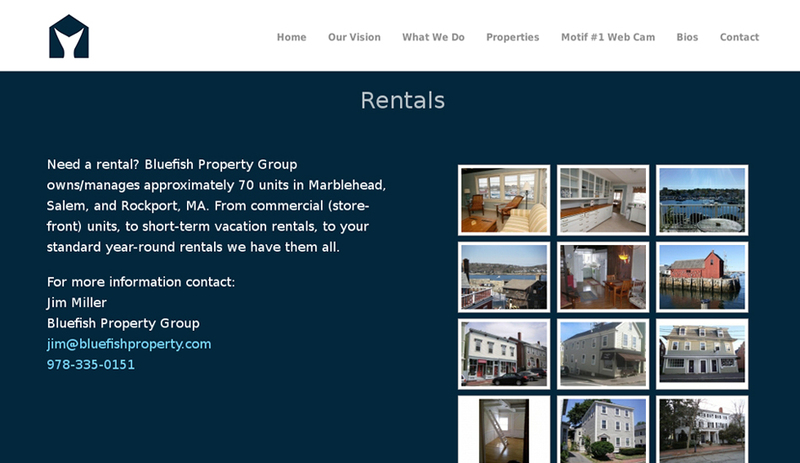 It was a pleasure to work on this rebuild using a trustworthy Theme Trust theme as it served the clients needs perfectly. 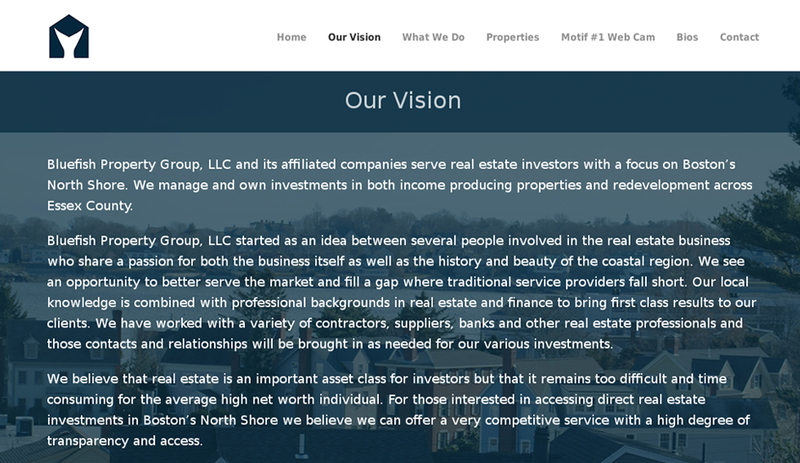 After a few unhappy experiences with some of our other web sites, we went in search for a web designer who listened to our vision and who was able to deliver on that vision. After meeting with Ben, we knew he was our designer. 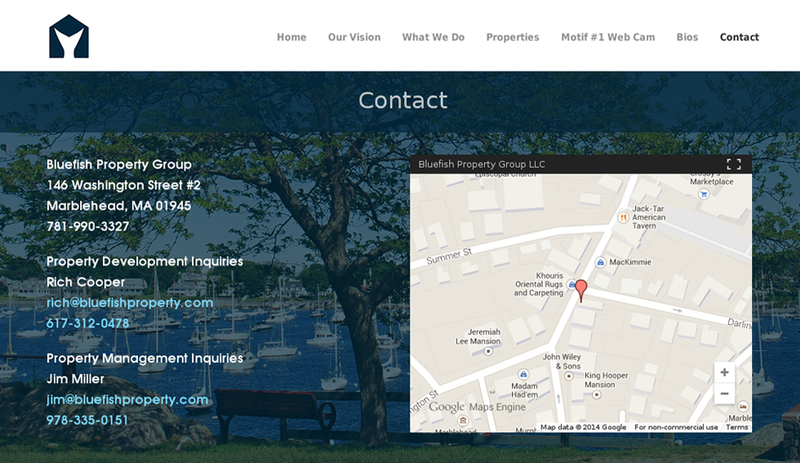 He understood our focus not only on content, but on eye-catching visuals – and he totally nailed the design. Ben was professional, timely, creative, and always put our needs first. We couldn’t be happier, and we look forward to working with Ben on many projects in the future.